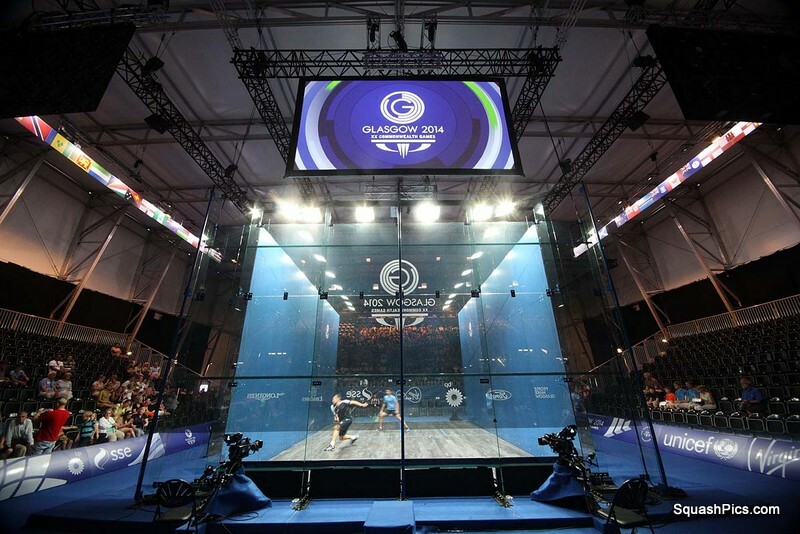 After a busy opening day, there were just eight men’s and eight women’s matches today as the quarter-finalists were decided. 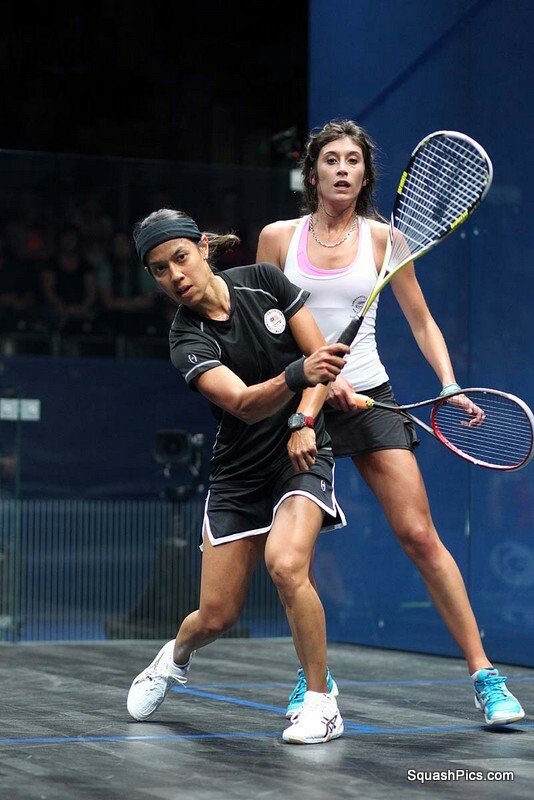 The first quarter-final place was claimed by New Zealand’s third seed Joelle King, overcoming Joshana Chinappa in four games. King stormed through the first then held off a late challenge from Chinappa in the second. The Indian recovered from a mid-game deficit in the third to pull one back, but after a tight opening to the fourth King stormed ahead to claim a place in the last eight. King will now meet Northern Ireland’s Madeline Perry, who beat Kasey Brown 3-1 in the final match of the afternoon session. 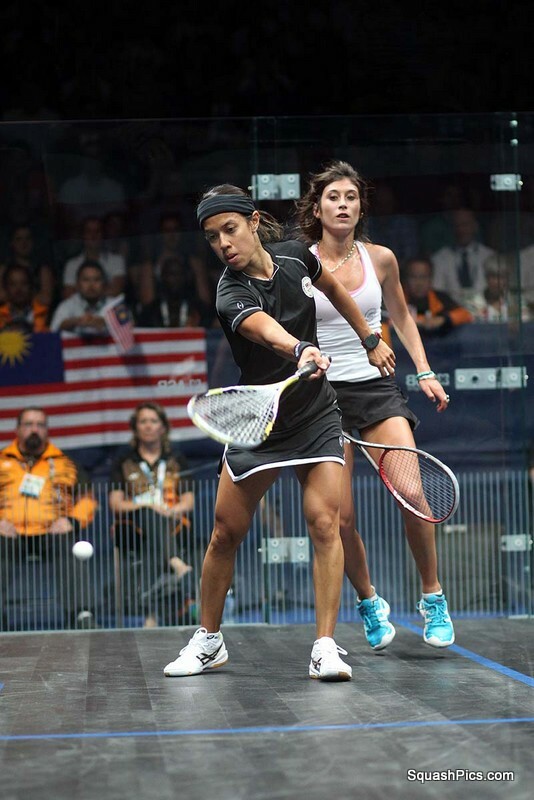 Defending champion Nicol David eased through to the quarters as the world number one beat young Kiwi Megan Craig in straight games. 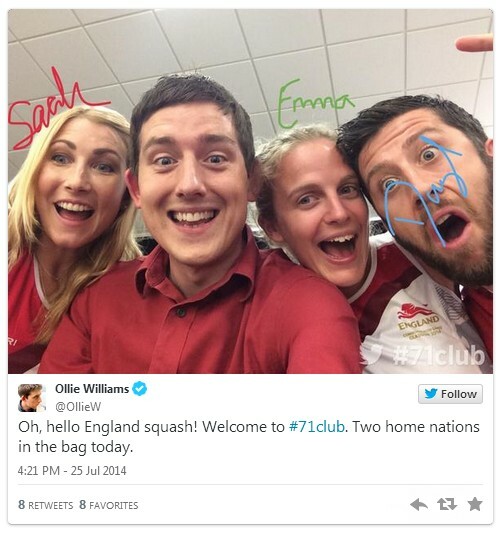 She’ll meet England’s Jenny Duncalf who also won in three, against Canadian Sam Cornett. 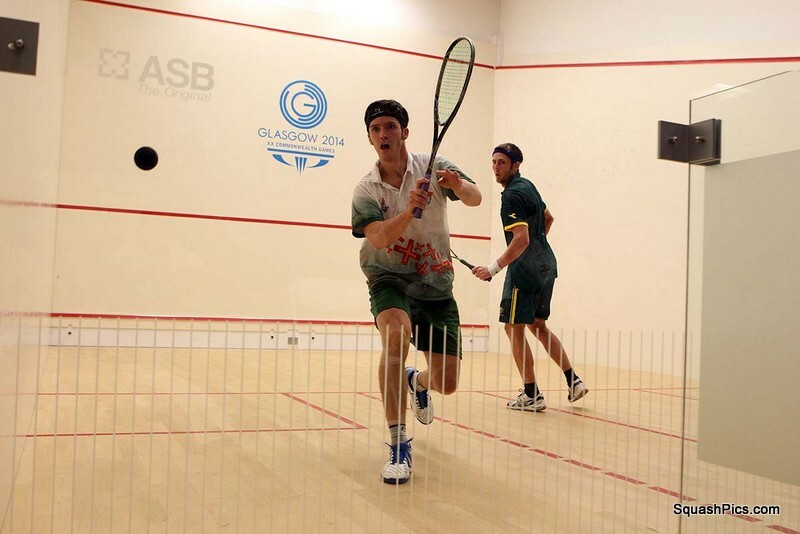 In the men’s draw Guernsey flag-bearer Chris Simpson came through a lengthy four-game tussle with Australia’s Ryan Cuskelly to book the first quarter-final spot. 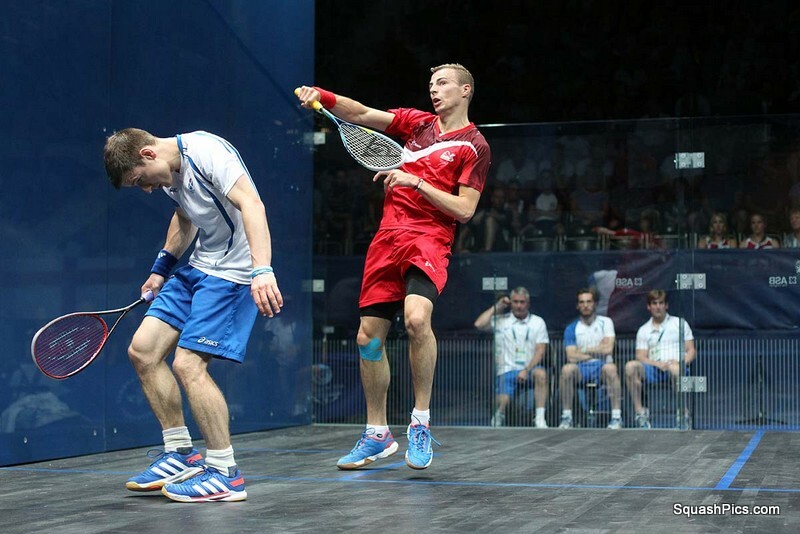 Defending champion Nick Matthew disappointed the Glasgow crowd as he beat top Scot Alan Clyne in straight games. 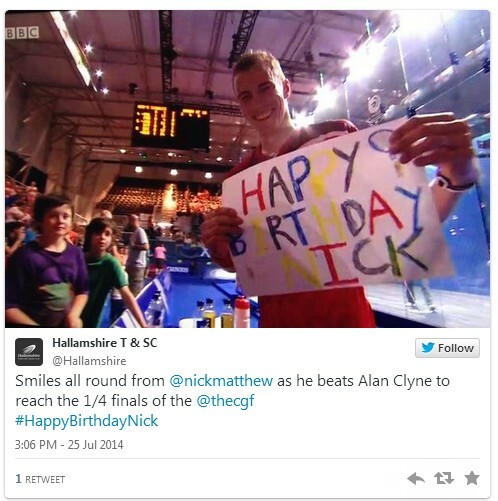 On the birthday of both players, the top seed was in control for most of the match, Clyne saving the best for last as he saved four match balls before finally succumbing. 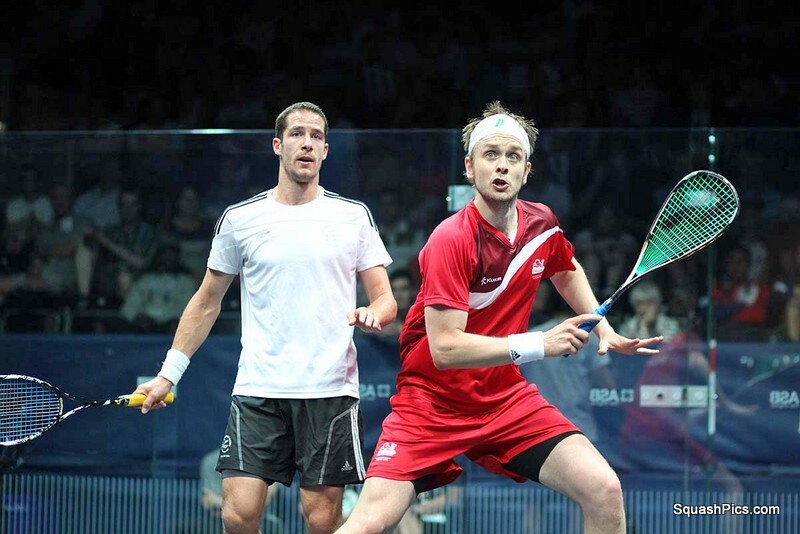 Peter Barker kept the English bandwagon rolling as the third seed beat Nafiizwan Adnan in straight games. 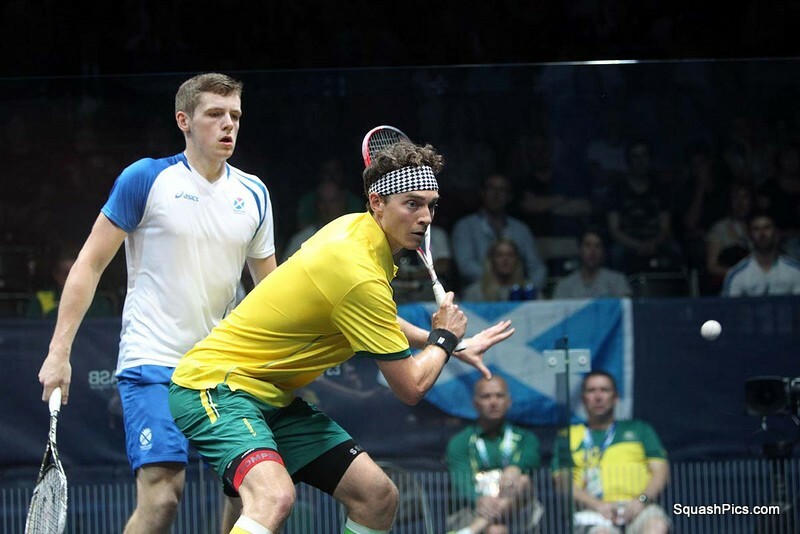 He’ll meet Cameron Pilley for a place in the semi-finals after the hard-hitting Aussie ended Scottish interest in the singles draws with a straight-games win over Greg Lobban. 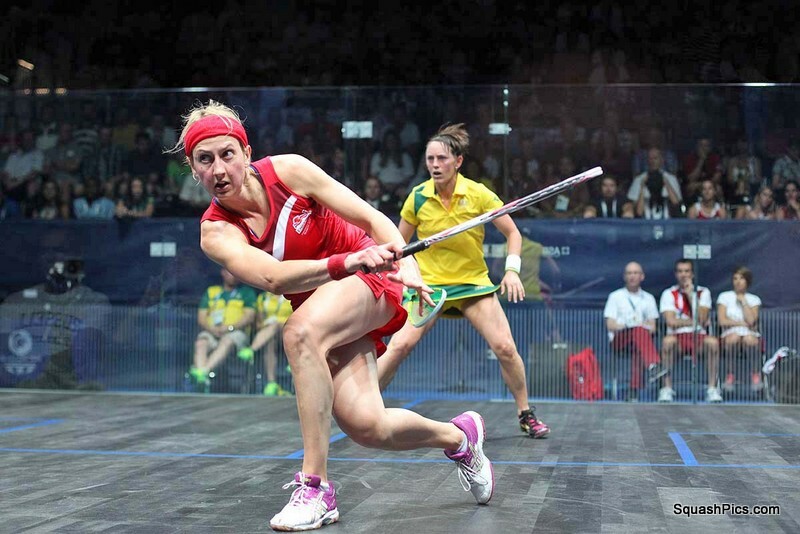 The evening session started with another two English wins and two thoroughly entertaining four-game matches as Alison Waters beat Aussie veteran Rachael Grinham, and world champion Laura Massaro edged past Guyana’s Nicolette Fernandes 14-12 in the fourth. 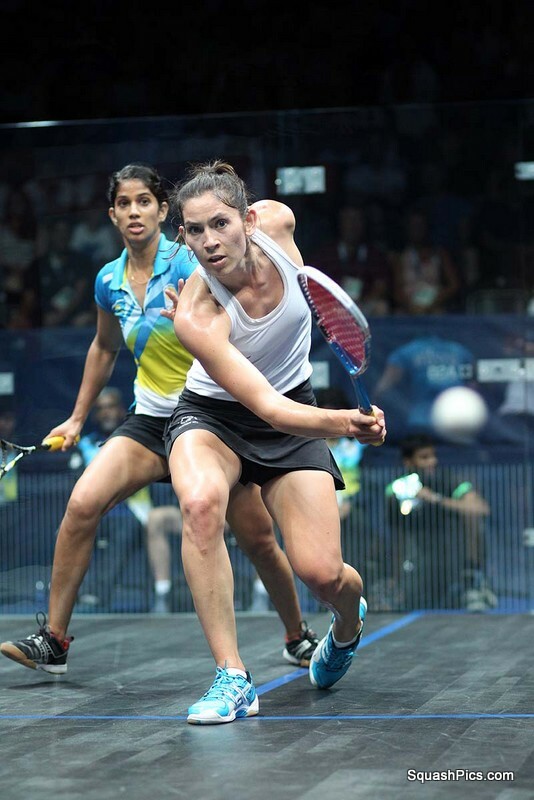 I ndia’s Dipika Pallikal secured a quarter-final spot as she beat Malaysia’s Delia Arnold in straight games, but fifth seed Low Wee Wern made it two Malaysians in the last eight as she fended off a feisty fightback from Tesni Evans to win in four games. 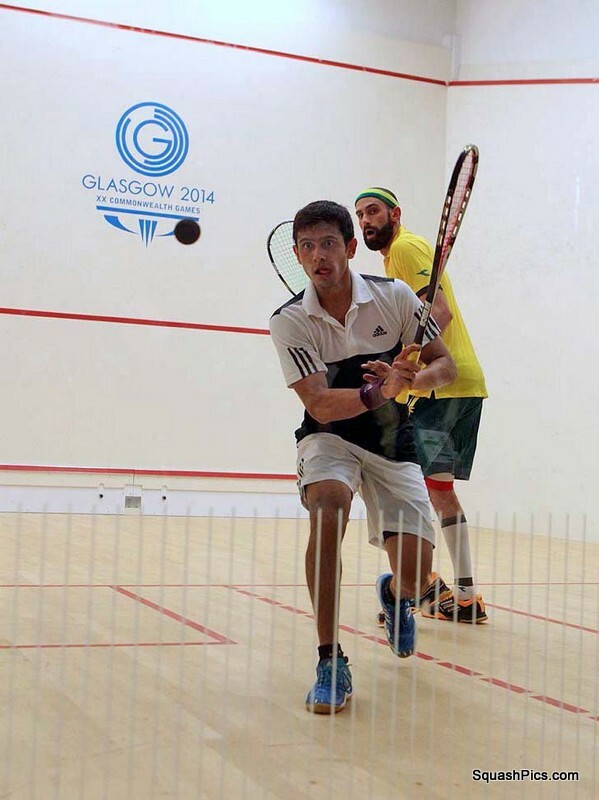 In the men’s matches Saurav Ghosal let a two-game lead slip before prevailing over Steve Finitsis in the fifth, while Kiwi Campbell Grayson ended the run of giant-killer Kelvin Ndhlovu in straight games. 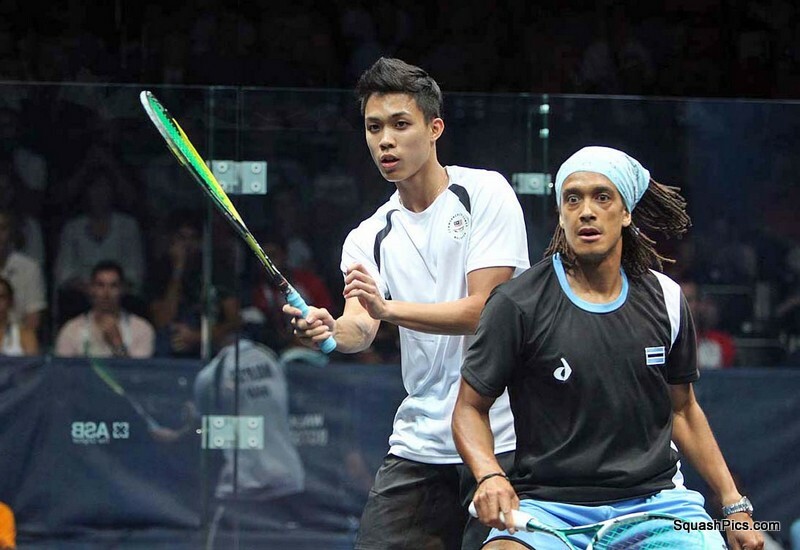 Young Malaysian Ivan Yuen took over as the giant-killer though as the 15th seed beat Botswana’s Alister Walker, the sixth seed, in four games where he showed fine shotmaking and retrieving skills, and second seed James Willstrop claimed the final place in the quarter-finals, his straight-game win over Martin Knight taking the English tally to six, three in each event. 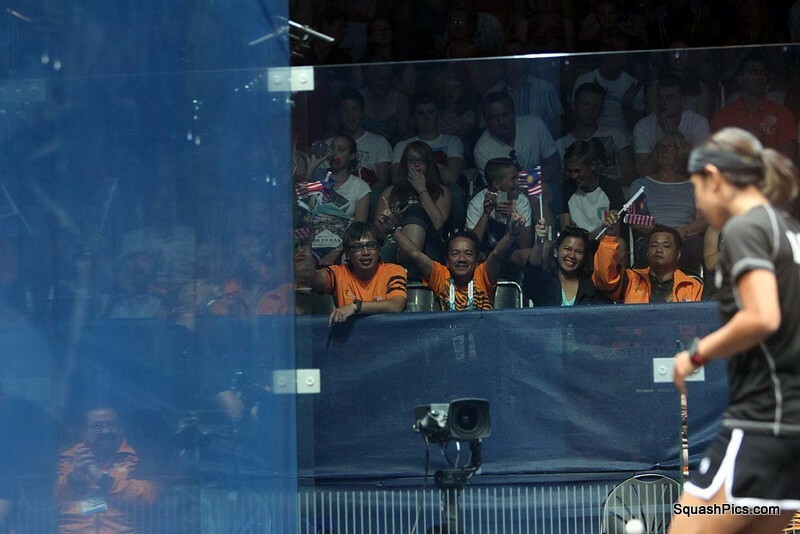 Ivan Yuen: “That was one of my best matches – I’m really happy,” said the 23-year-old from Kuala Lumpur. “When I was leading, I thought ‘this time I have a chance’. I stayed focussed, telling myself to play my own game. 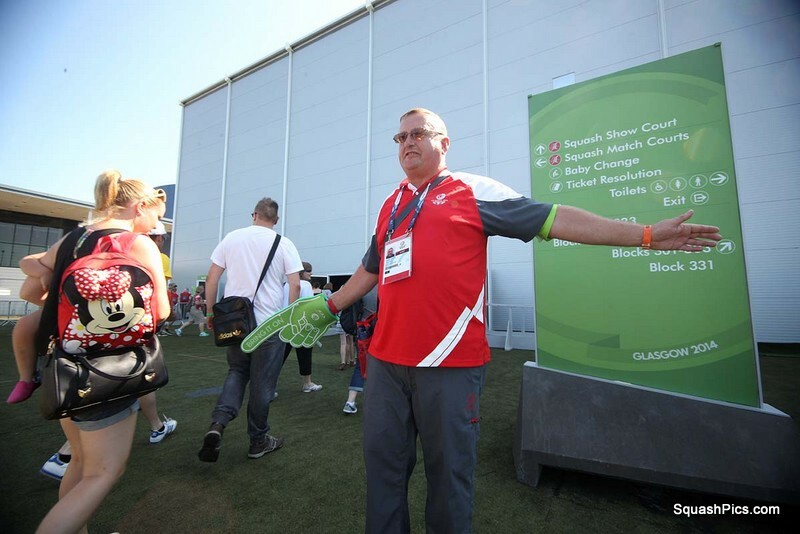 “I was quite relaxed, I think the pressure was on him. 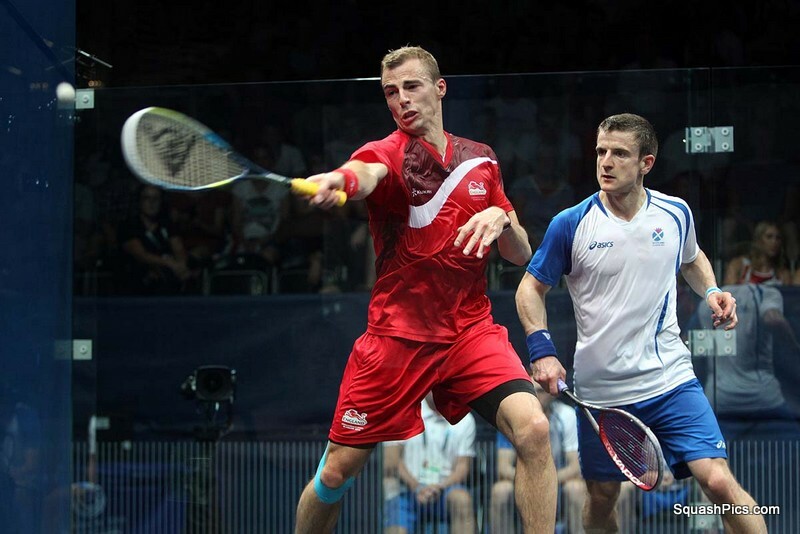 Nick Matthew: “It’s so bizarre that we have the same birthday and then play in the Commonwealth Games on that day,” said 34-year-old Matthew. “It’s freaky! “I got the job done. He was playing his best stuff at the end there and I’ve not had a match of that quality for a while. Even with the injury, our season ended in May so it was May since my last game in front of a crowd like this, so it will stand me in good stead for the rest of the tournament. 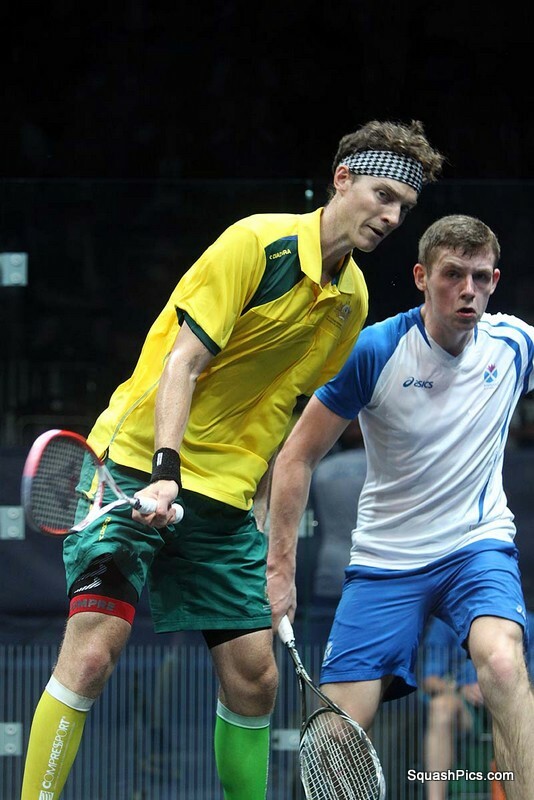 Chris Simpson: “It was a very tense match – there was a lot of to’ing and fro’ing in the match. There was an injury break in the fourth after I accidentally trod on his toe which I think aggravated an earlier injury. I was starting to get back in to the match and it ruined my momentum, but then I had a good finish. 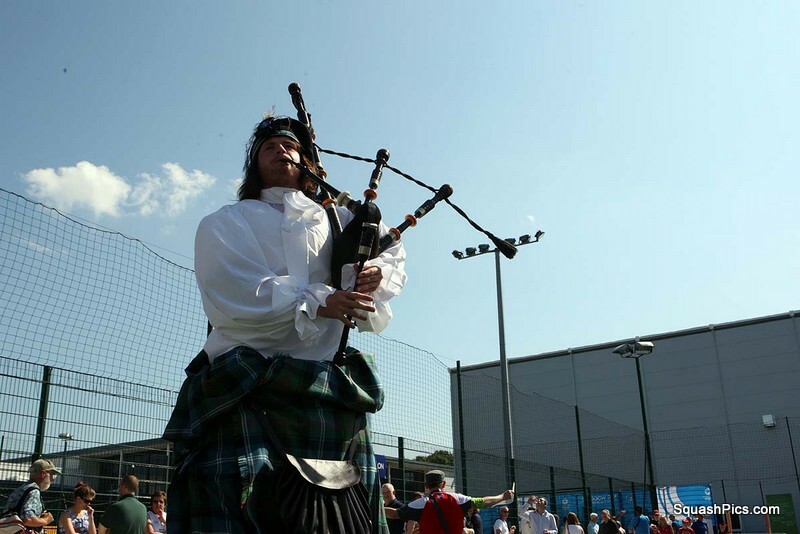 “I was very nervous this morning, thinking about the expectations of my country after carrying the flag at the Opening Ceremony – what if I dropped out without even getting the chance to get on the glass court? “It’s a real relief to know that my next match is on the glass court – now I can allow myself to go and see what the setup looks like,” explained the world No23. 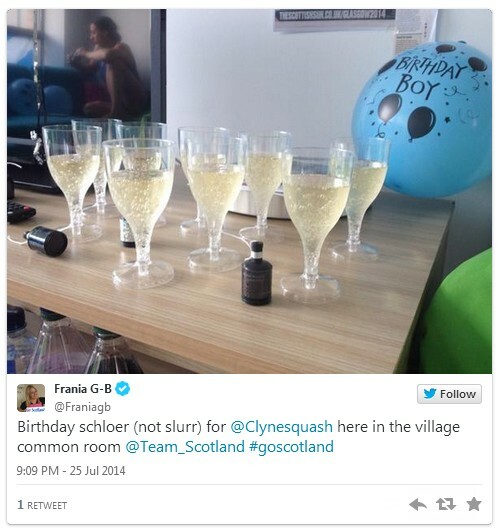 “I refrained from doing so until I’d earned my place on it! Alison Waters: “That was very tough,” said the No4 seed. 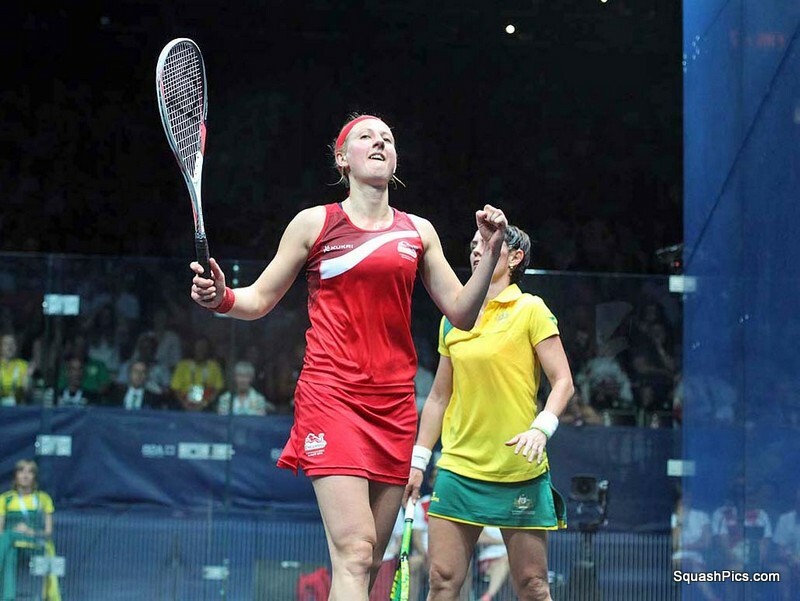 “Rachael played really well – I had to dig deep in the third. 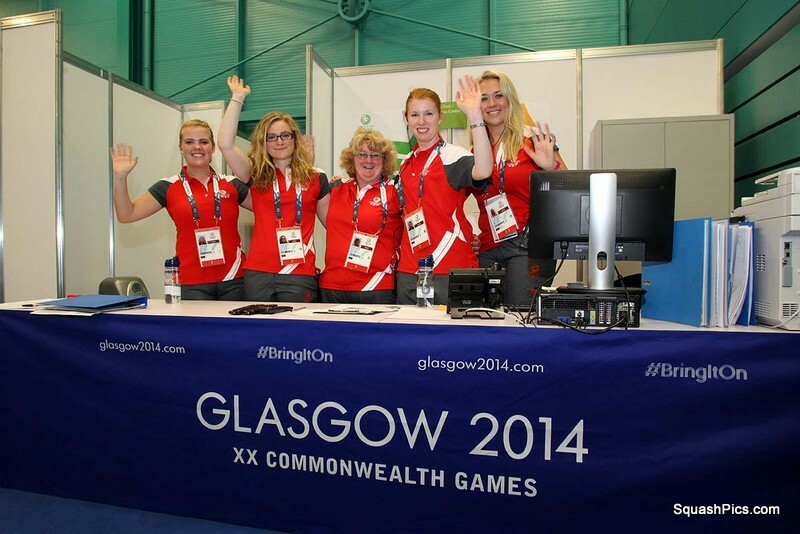 Megan Craig: “It was amazing – the best experience of my life, for sure,” said the 16th seed Kiwi. “You couldn’t ask for more: playing on an all-glass court, in front of this amazing crowd, and against the number one in the world – it just doesn’t get any better. It’s so good for squash. “Getting selected to be here has been my biggest goal for a long time – and I guess the next will be to break into the world’s top 30 and winning some big events. 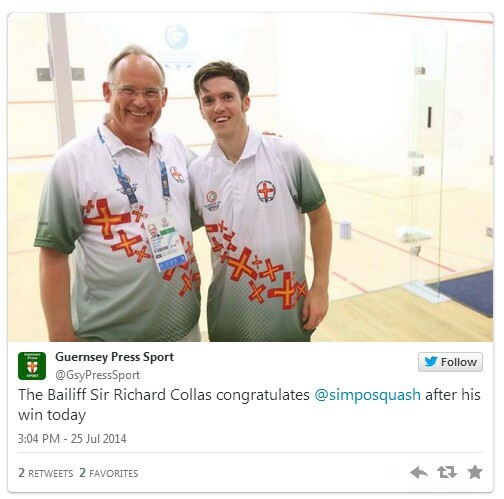 I really want squash to be in the Olympics – I could be in my prime then! Joelle King: “I’m glad to get through that one. 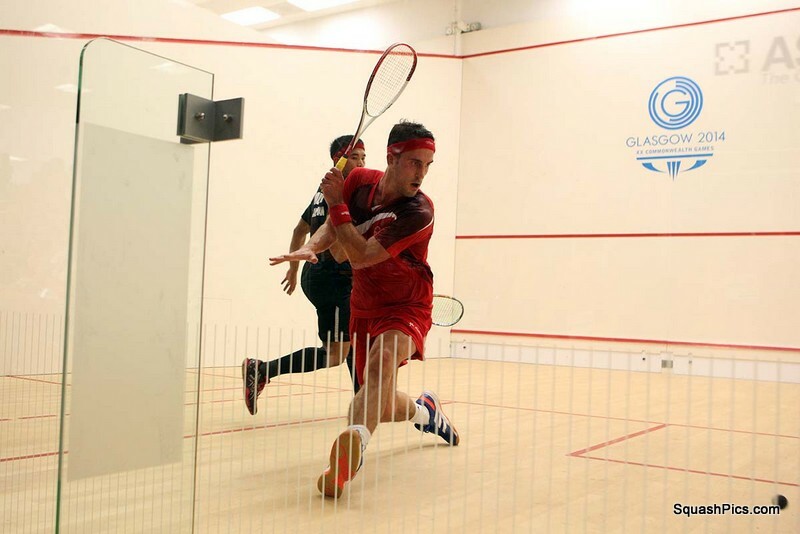 I started off really well and had a patch where Joshana really came back and had a bit of momentum but I relaxed again in the fourth and got the win,” said world No4 King. 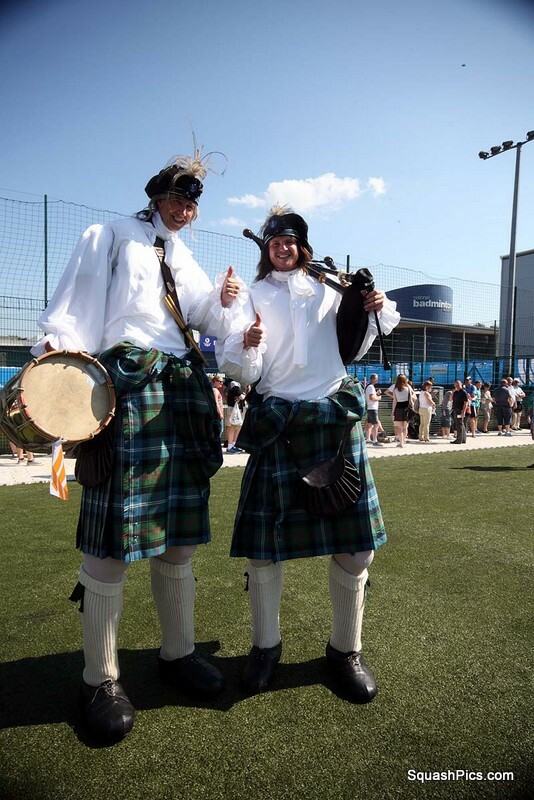 “The crowd was amazing – I had butterflies in my stomach coming out there. The court is probably one of the best courts I’ve ever played on. 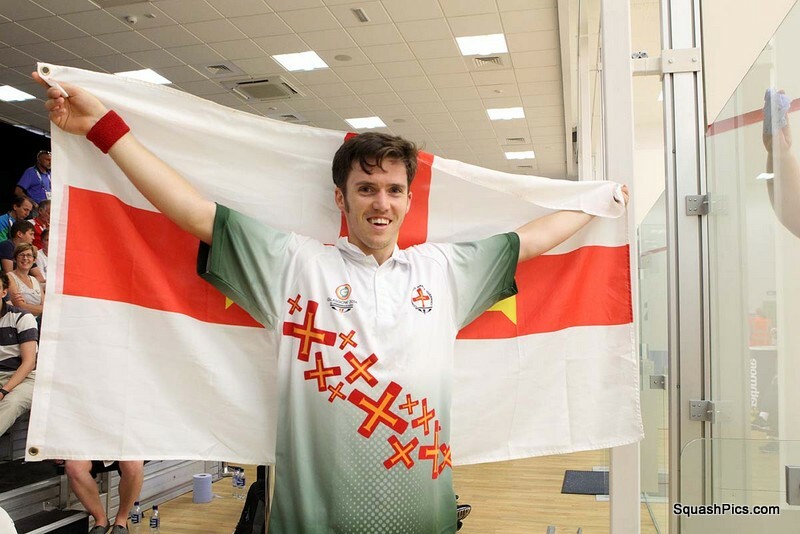 Cameron Pilley: “I made it this far four years ago but need to look forward to a good win tomorrow to give myself medal chances. Madeline Perry: “Delhi was stressful for me – so it’s all about enjoying it this time,” said the 37-year-old world No11 from Belfast. “I’ve always struggled with Kasey – she’s beaten me a good few times. But today I felt I was in control of most of the rallies. 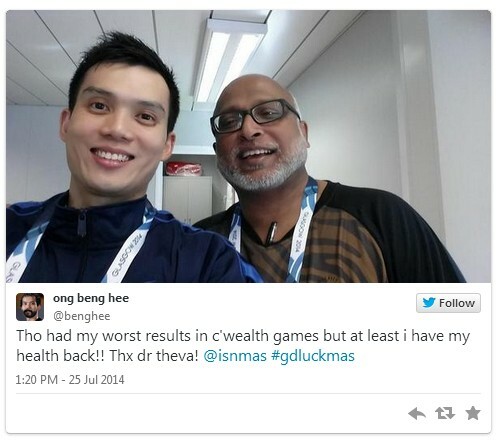 “I tore my adductor a few months ago which knocked me back a bit – and it’s only the last month or so that I’ve felt normal! 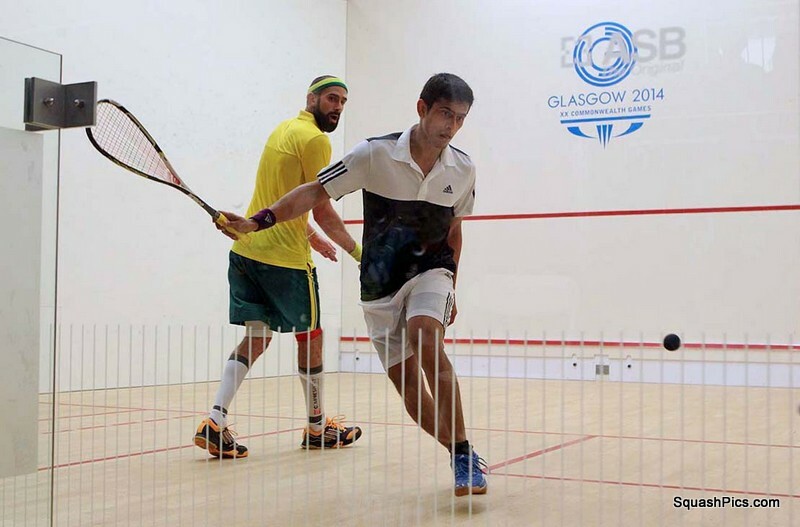 Saurav Ghosal: “I played pretty well in the first two games but Steve did fantastically well to take the next two,” said the world No4 seed from Kolkata. 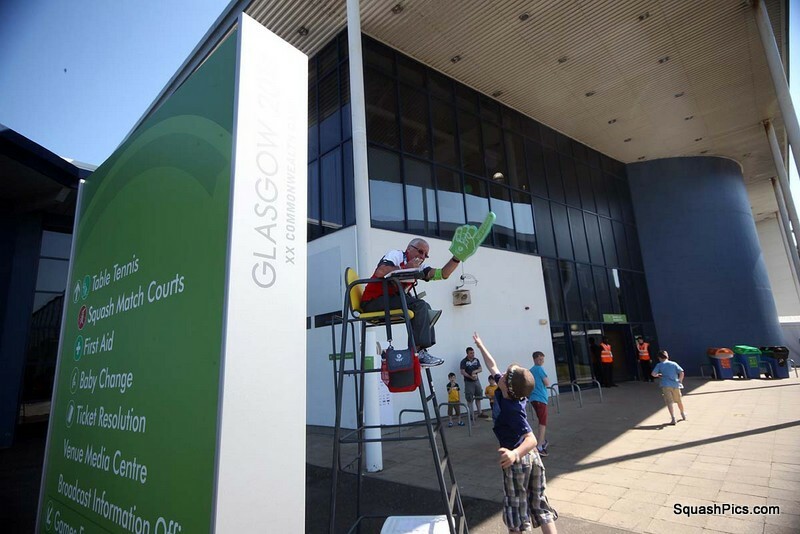 “It was neck and neck in the fifth – I was 7-6 down but managed to string together four or five points in a row to take the match.